Join the Green & Gold Army as we support the Matildas at the 2019 FIFA Women’s World Cup while soaking up the rich culture, history and spectacular sights of one the world’s most magnificent tourism destinations, France. Following form our successful 2015 FIFA Women’s World Cup Canada and 2018 AFC Women’s Asian Cup Jordan tours we are proud to detail our tour program to support the Matildas at the 2019 FIFA Women’s World Cup. Our tours are designed specifically for the family, friends & fans of the Matildas, open to all ages and our tours are famous for visiting all the tourism highlights of the host country and getting up close and personal when supporting the team. On this 17-day football and tourism experience you will attend the opening match in Paris involving host nation France and all 3 of Australia’s group games. Our tour will begin in glamorous Paris and follow the Matildas visiting and staying in all cities they play and ending in Nice. 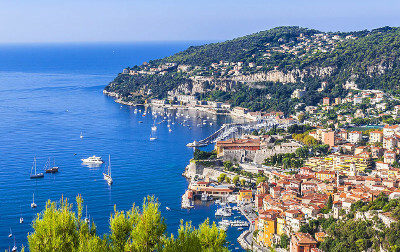 It is the perfect combination of taking in all that France has to offer and passionately supporting Australia at the 2019 FIFA Women’s World Cup. The Matildas reached the quarter finals of the 2015 FIFA Women’s World Cup Canada and recent success at the USA’s Tournament of Nations has fed expectations of the Matildas participating in the knockout phase of 2019 France. Join us to experience the Round of 16 and Quarter Final knockout phase on this 10 day program. The starting city for this program is Nice and this tour module ends in Paris taking in all the possible Matildas R16 and QTR final match ups. This tour begins in Paris before travelling to Lyon where both semi-finals are played and then moves to Nice for the 3rd/4th playoff before returning to Lyon for the 2019 FIFA World Cup Final. On our 9 day program you will experience the thrill of the final matches (and we hope, Matildas glory) as well as enjoying all that Lyon and Nice and the surrounding region has to offer. Best of all, a group of passionate Matildas fans to share the experience with! The country is also renowned for its wines and sophisticated cuisine. Lyon’s Roman theatre and the vast Palace of Versailles attest to its rich history. France has long been a global centre of art, science, and philosophy. It hosts the world’s fourth-largest number of UNESCO World Heritage Sites and leads the world in tourism, receiving around 83 million foreign visitors annually. 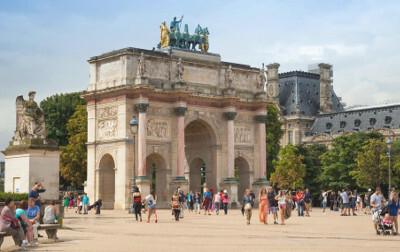 France will be a magnificent host of the 2019 FIFA Women’s World Cup – View highlights of 2019 FIFA World Cup France host cities here. We can’t wait to take you there as we support the Matildas on their quest for glory! Note that our packages are structured to meet operational and guest requirements. This means that there are items relevant to the tour that are not included in the packages listed above and will be an additional cost. We have listed them below so you can understand them prior to booking on our tour. International Flights are not included in the package price and are an additional cost. The GGArmy does provide an FIT international flight and arrival/departure transfer service which can be added to your selected package. Our Group Stage, R16 & QTR’s Stage and Semi/Final Stage Tours all include the requirement for a fast rail service. to transfer from the North of France to the South or visa-versa. The costs of the fast rail services are not included in the packages and will be an additional cost. Note: in relation to the R16 & QTR’s Stage Package. In the event Australia finishes 3rd in the Group it is possible they will be a lucky loser and qualify for the Round of 16 and play in either Le Harve or Grenoble. If this situation eventuates a match day transfer (air/rail &/or bus/coach) will be arranged to attend the Australian match. This will be an additional cost. Match tickets are not included in our packages as a number of our tour participants/guests (family, friends of the Matildas and/or former FFA Officials or Matildas) will be entitled to match tickets via FFA/FIFA. Some Guests also prefer to purchase their own match tickets directly from FIFA, which will be available from 19th October here (link to https://tickets.fwwc19.fr/uk ). Please note that the GGArmy is able to provide advice on how to secure Match tickets (to all matches) for any guests who require them. Tickets to most matches remain available. Like all our other FIFA World Cup tours on days that Australia is not playing a carefully selected suite of guided cultural/historical sightseeing day tours will be offered to all tour participants/guests as an optional additional purchase. 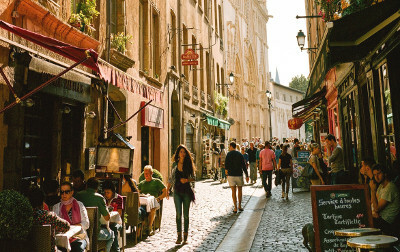 Our optional sightseeing day tours are a great way to enjoy the France’s tourism highlights with other tour participants, building on the your tour friendships and seeing all the sights. Click here to see our day tour program. Take a read of a great blog from one of our guests, Erin Nugent – who travelled with us to Jordan for the 2018 AFC Women’s Asian Cup – which sums up the experience of travelling with the Green & Gold Army. Itinerary overviews are set out below, which detail the various cities we will be visiting and matches we will be attending. Day 17: 21st June. This is the departure day for the Group Phase Tour. Day 9: 29th June. Match Day: If Australia finishes 1st in Group C and the Matildas win their Round of 16 match they will play their QUARTER FINAL match in Valenciennes (15:00 KO). We will only attend this match (from Paris by return bus/coach) if Australia participates. 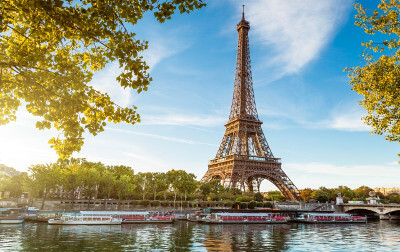 The alternate program is Optional Paris Day Tour Activities x2. Overnight PARIS. Day 10: 30th June. This is the departure day for the R16 & QTR’s Tour. Day 1: 30th June. Guests arrive, settle into tour hotel and in the evening – Welcome Tour Briefing Dinner. Overnight PARIS. Day 2: 1st July. Today we transfer by TGV fast train to Lyon, settle into our hotel and enjoy an evening exploring medieval old city. Overnight LYON. Day 3: 2nd July. Optional Lyon Day Tour Activities x2. Evening Semi Final (21:00 KO). Overnight LYON. Day 4: 3rd July. Optional Lyon Day Tour Activities x2. Evening Semi Final (21:00 KO). Overnight LYON. Day 5: 4th July. Optional Lyon Day Tour Activities x2. Overnight LYON. Day 6: 5th July. Transfer by TGV fast train and TGR train to Nice. Overnight NICE. Day 7: 6th July. 3rd/4th Playoff (17:00 KO). Overnight NICE. Day 8: 7th July. Early morning rise and transfer to Lyon by bus/coach for 2019 FIFA Women’s World Cup Final (17:00 KO). Overnight LYON. Day 9: 8th July. This is the departure day for the SEMI & FINAL Tour. Having never been to a World Cup before, Green & Gold Army made it very easy for me- from their information sessions, the booking of the trip, and knowing everything was taken care of for me, including my safety: all I had to do was show up and have fun! The experiences at and outside of the games were just amazing, and the people I met have become part of my “football” family. I cannot speak highly enough of Green & Gold Army. We have attended 3 World Cups (South Africa, Brazil & Russia), 1 Women’s Asia Cup (Jordan) and numerous World Cup Qualifiers with the GGArmy. The tours were expertly organised and planned. The organisers faced challenges with transport in South Africa, something they addressed for the Brazil program which was first class. We have shared many happy and memorable experiences with our fellow GGArmy supporters, and our safety was of paramount importance to the organisers, something that was important to us attending FIFA World Cups in South Africa, Brazil & Russia. We wouldn’t hesitate to recommend travelling with the GGArmy on any of their tours. The atmosphere of the GGArmy 2018 Russia tour was fantastic. The fine detail in the program as organised for us by the GGArmy was amazing and played a big part in the success of the tour. I loved the peace of mind that everything was organised for us. It was awesome and a great thing to be a part of. Many thanks to all the GGArmy tour leaders for the hard work they put in to make every part of the trip seamless for the guests. Nothing was too hard for them! In life you often get lucky. I have been fortunate to be invited to be a host/guide for the GGArmy at the 2010 FIFA World Cup South Africa, 2014 FIFA World Cup Brazil, 2017 FIFA WCQ tour to Japan and 2018 FIFA World Cup Russia. They have been the most magnificent experiences. The friendships I have made will last a lifetime. No doubt about it. However, the one item that stands out the most is the care and thought invested into the tour organisation by the GGArmy leadership. They are football fans united in a passion for the Socceroos and Matildas who direct that energy into the research and planning of their tour programs. The GGArmy leaves no stone unturned in the planning of the program. They deliver quality every time. Bring on the next adventure. Ask us here and we’ll get back to you right away!